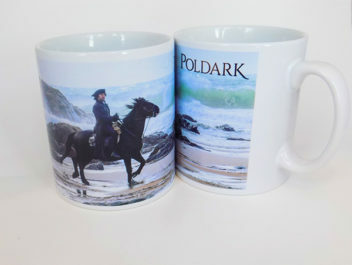 A gloriously happy Ross Poldark galloping along the beach on his wonderful horse Seamus! hearing the waves breaking on the golden sand. Made exclusively under licence by Atmosphere right here in Cornwall.